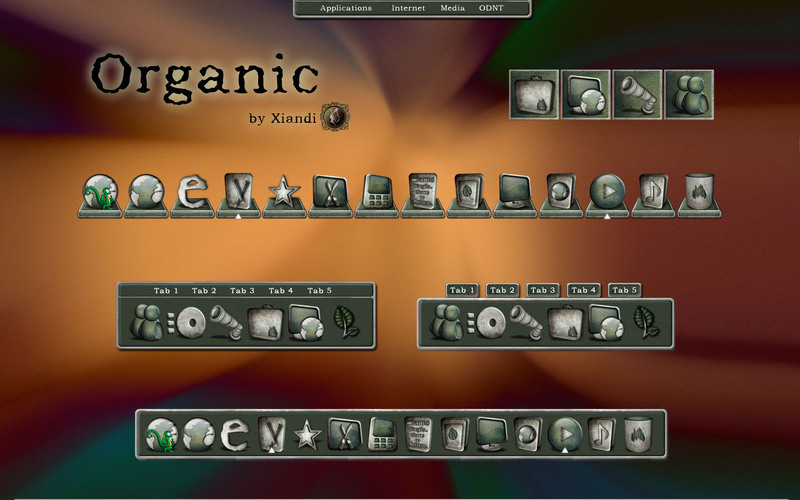 My thanks for this addition to the Organic Theme. It just looks fantastic with my OD bottom bar entirely and only composed of the great icons generated by Shinhit�s Organic package. Now, all we need is a WindowBlind and CursorFX theme and Vista will finally be unified. Really happy with the work you have done! I'm Sure Liking Your Work� �� �� �You've been DRCed! Thank you, Vervi!.........Frodo, I have mine set up the same way. I'm glad you like them! The cursor is next.� �.........Duke, wow, what a compliment! Thank You! Thanks jm!! Thanks for taking the time to DRC too! !